"My friend the doctor says the world is full of fantasy, and who are you and I to disagree?" "Our lives tick by like pendulum swings, poor little things, puppets on strings. But life is full of beautiful things... beautiful people, Dolittle people. Beautiful people... like you." Emma- "I promise to ask for no special treatment." 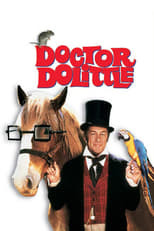 Dr. Dolittle- "Well, I promise to grant none." If one place is as good as any other, it's high time we decided. Otherwise when we get there, we won't know we've arrived. If you ask me, bein' at sea is very much the same as bein' in prison, except at sea ya stand a better chance of drownin'.